The Rybka 4 Aquarium Opening Book uses a standard Windows setup program to install the book. If you bought the download version, you must start by downloading the setup program (about 1.2GB in size). As always when installing updates or new features, you should exit Aquarium before starting the installation. When the download is complete, double-click the downloaded file to start the installation. While the setup program is running, it shows you where it is installing the opening book. The installation path is highlighted in the image above. Since I use a separate folder for the Aquarium program files and the data files (AquariumData), the opening book is installed in C:\AquariumData\ATrees \Rybka4Book. Once the installation is finished, start Aquarium and switch to the Sandbox. Select the Tree tab in the ribbon and click the leftmost button to display a list of available tree configurations. The opening book contains thirteen columns of data. Some of them are only of interest to those who will use it for playing chess engine games, but most of the columns are intended for chess players who are studying the opening. I will describe each column in detail. 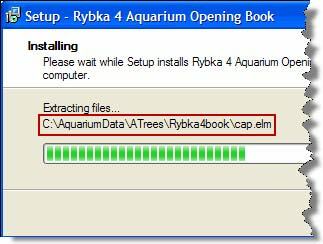 There is one new feature for displaying trees in Aquarium 4 that is used in the Rybka 4 Aquarium Opening Book. Several columns in the tree window can now be grouped under a single heading. The next screenshot shows an example where the three columns based on the Hugebase database are displayed under a single heading. This feature was added for the practical reason that it allows more columns to be displayed in the same space. Green is used for moves recommended by Jiri for both chess engines and human players. The screenshot above shows three green moves (after 1.e4): 1…c5, 1…e5 and 1…c6. Red is a move that is not recommended or out of the scope of this opening book. The reason is not necessarily that it is a bad move, it is just that the book is not an opening encyclopedia, although it is relatively wide and covers many openings. Jiri explained in the interview with ChessOK Cafe last month: “I wanted to offer two different ways of playing every opening, but sometimes I ended up with only one, because I felt that it was the best way to handle the position.” In the example shown above, the move 1…d5 (Scandinavian Defense) is colored red, which is a good example of a red move that is not necessarily bad. Blue moves are recommended for human tournaments (in addition to green moves), but not computer tournaments. The moves 1…e6 (French Defense) and 1…d6 (Pirc Defense) are blue in the example. Black is used for neutral moves. They are not played in engine matches unless there are no green moves in the position. The flags column (”flg”) is not used in the opening book. The next set of columns in the tree window is the “Rybka4″ columns. First, note the small, downward pointing triangle in the upper left corner. It shows that the data in the tree window is ordered by the leftmost column in this group. Clicking the title reverses the order. Clicking the title of another column orders the data by that column. This group of columns is based on the game database that Jiri used as “raw material” to generate the initial version of the book (see last month’s interview with Jiri). He began with high-level correspondence games (Elo rating over 2300), but added more games, including chess engine games, as he continued working on the book. The first column shows the number of games where the corresponding move was played, then we see how successful that move was and the third column shows the average rating of players that played this move. Since the database contained computer games, the ratings displayed in this column are often quite high. The next column is the CAP column. 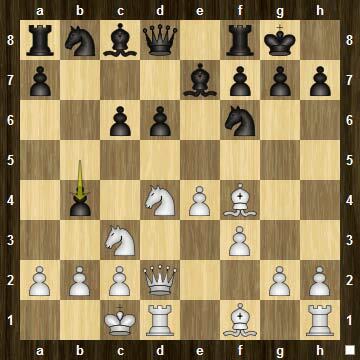 This is based on chess engine analysis of the position after the move in the move column. The evaluations are mostly based on Rybka 3. This column, like many others in the opening book, can be helpful when looking for interesting ideas to explore in the opening. Sometimes looking at the evaluation by itself may raise some questions, but more often it is the comparison of columns, based on different sources of data that can give new ideas. Next we encounter the “Hugebase” group of columns. 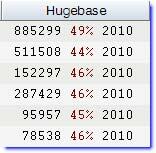 This group is based on over four million games (almost exclusively played by human players) – the Hugebase database. 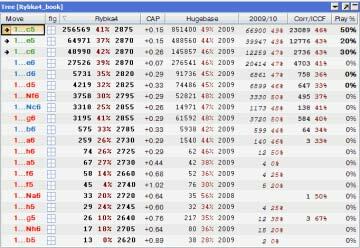 The first column is the number of games where the corresponding move has been played. The second column is the success rate for the move and the third column shows when the move was last played. The “2009/10″ shows Hugebase statistics for recent games – games played in 2009 and 2010. 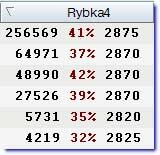 These two columns correspond to the first two columns in the “Rybka4″ and “Hugebase” groups: Number of games and success percentage. Since Hugebase contains a large selection of older games (even going back a few centuries), it doesn’t tell which openings are popular and successful now. That’s the purpose of the “2009/10″ group. The “Corr/ICCF” is yet another group of statistics columns, this time based on high-level chess correspondence games. This is one more step in the direction of adapting Aquarium to the needs of correspondence players (see Correspondence Chess with Aquarium), but the data is also of interest to other players. The quality of games played in recent years by strong correspondence players is very high. Many organizations, including ICCF, allow the use of chess engines so you can be sure that the statistics are based on games of high quality. This makes the comparison with the “Rybka4,” “Hugebase” and “2009/10″ groups interesting. Now, if you actually play in ICCF or other chess correspondence events, this data will be of particular interest to you. Finally, the “Play %” column is used for chess engine play and determines the relative frequency of moves played by the engines. Instead of relying on a single source of data, the Rybka 4 Aquarium Opening Book allows you to compare and draw your own conclusions based on the comparison of five different sources of data. Sometimes you will see positions where there is a fairly good agreement between the statistics and you will probably not see any reason to doubt that they are correct. In other positions you will see different “best moves” depending on the column you are viewing. The following position is an example where there is considerable difference between the statistics. 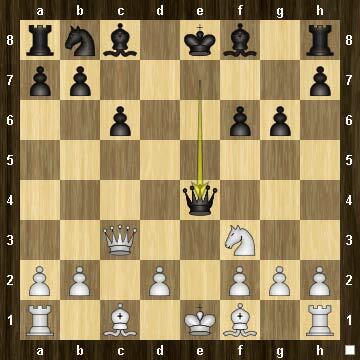 The moves leading to this position are 1.e4 c5 2.Nf3 d6 3.d4 cxd4 4.Nxd4 Nf6 5.Nc3 a6 6.Be3 e5 7.Nb3 Be6. The following screenshot shows the relevant columns from the Rybka 4 Aquarium book for this position. The most common move by far is 8.f3, but 8.f4 is also often played and these are the two green moves in the Rybka 4 book. If you are studying this opening, you might want to choose one of these moves for inclusion in your repertoire, but which one? You can start by comparing how successful these two moves have been in practice. If you look at the Rybka4 column group, you will see that 8.f4 has been much more successful than 8.f3 (66% vs. 58%) and the statistics are equally good for 8.f4 in human games (Hugebase: 60% vs. 52%). However, if you look at the results in high-level correspondence games, you see a completely different picture and 8.f4 scores lower than 8.f3 (Corr/ICCF: 52% vs. 59%). In this case the number of 8.f4 games is so low (twenty-nine) that you might not want to trust the statistics for that move. Finally, the Rybka evaluation in the CAP column gives both moves the same evaluation, and in recent human games (2009/10) both moves have scored equally well, but also here there are only a few games with 8.f4. After examining this data, you can decide if you want to choose the most popular move or spend some time on examining 8.f4 to find out why it scores so well both in a blend of human/computer games and over the board games. 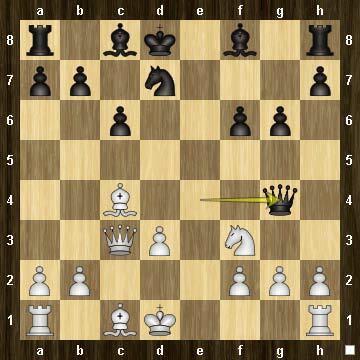 If you are looking for interesting ideas to explore in the opening, you would probably want to have a closer look at 8.f4. The most common move in this position is 10.Nb1. Other moves in the book are colored red. One of them, 10.Na4, has only been played three times, but it has been quite successful and scored eighty-three percent. Normally you would ignore statistics based on so few games, but here we can see how helpful the additional data in the opening book can be. Looking at the CAP evaluations, we see that the evaluation of 10.Nb1 is only +0.07, but 10.Na4 has a much higher evaluation: +0.68. With this additional information, 10.Na4 starts to look like a very interesting move! If you see similar statistics in the opening book for a position in your favorite opening, you should definitely have a closer look. Perhaps you will surprise your opponent the next time you play the opening! The general rule in Aquarium is that when you need a particular feature, it is available where you are going to use it. A good example of this is the selection of an opening book for an engine competition. When you create a new engine match, you can select the opening books for the engines in the “Match properties” dialog box. In the screenshot shown above, I am creating a match between Rybka 3 and Rybka 4 and both engines will use the Rybka 4 book to select their opening moves. Similarly, when creating a new engine tournament, the book options are right there in the “Tournament properties” dialog box. 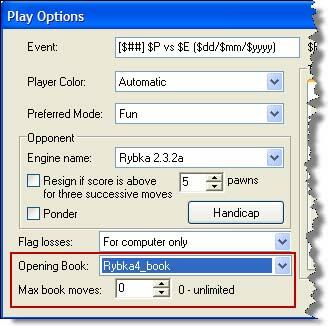 In this example, all the engines in the tournament will use the Rybka 4 Opening Book and “Maximum book moves” is set to eight. This means that after the first eight moves they will stop using the book and start to calculate their moves. When playing against the computer and you want the chess engine to use the Rybka 4 book, there are two ways to do that. In both cases you start by switching to Play view. If you want to access all the play options before starting a game, you can do so by selecting “Options” from the drop-down menu on the “New Game” button that displays the “Play options” dialog box. Here, I have selected the Rybka 4 Opening Book and set “Max book moves” to zero, which means that Aquarium will select moves from the book as long as there are moves available. After that the engine takes over. 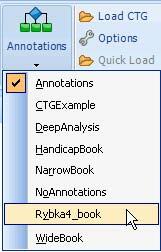 Another simple method of choosing an opening book, when playing against the computer, is to click the small downward pointing triangle in the title bar of the tree window as shown below. A list of all available tree configurations will be displayed, allowing you to pick the opening book you want the computer to use. Note that if you are playing in fun mode, you can switch opening books even after the game has started. There are two methods to select and view the Rybka 4 Opening Book in the tree window while you are examining a game in the Sandbox or in Database view. The first method is to select the Tree tab in the ribbon and click the leftmost button to display a list of available tree configurations. This method was demonstrated above, after the Rybka 4 Aquarium book had been installed. The other method is to click the small triangle in the title bar of the tree window. It is the same method as was described above, when playing against the engine. “I read your interview with Jiri Dufek with great interest. The part where he demonstrates improvements in his opening book for Rybka was especially fascinating for me. It is so broad that it covers quite a few of the openings that I am playing, even though I mostly play side lines. In particular, I was amazed to see the first diagram, from the anti-Gruenfeld line of the English Opening [A16], and the novelty that Jiri suggested: 11.Kd1! +=. Thank you for your response and the interesting game. Generally, I think that finding new moves is getting harder every year. It seems that everything has been played before. Of course this is not completely true, but very often a move that was previously played in a game is analyzed and in some way reevaluated at a later date. It is interesting that you played 11.Kd1 sixteen years ago and it is a good example of how everything seems to have been played before - and in this case the evaluation remains the same after all this time. I found this idea around six or eight years ago and later I shared it with Roman Chytilek. A few years later he told me that he had played this move against David Navara (probably in 2007-2008) in some local blitz tournament and lost after a hard struggle, but David probably knew this move. 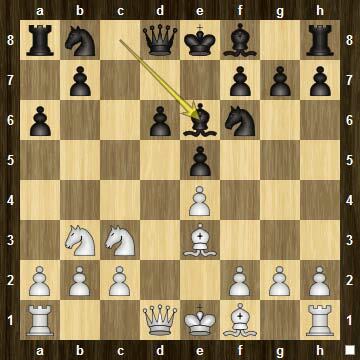 Since this line disappeared from chess practice, there is no reason to keep this interesting move a secret any more. The final evaluation of position is somewhere between += and +/-, but for the ChessOK Cafe article I preferred the first one, because +/- is little bit optimistic. It is probably better to give += for engine games and +/- from a human perspective. I believe that you will find more interesting ideas in the Rybka 4 book.